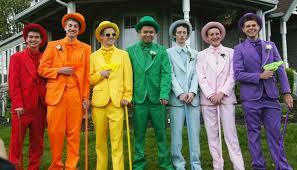 Confused with the number of color options available in men's suits online? Well as the trend in men's fashion industry keeps updating, you will find newer colors entering the men's clothing industry. 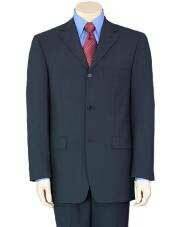 The most trending color option in men's suits is currently the midnight blue color. When we say the midnight blue shade, it resembles the shade of blue that is dark in color. Hence the name midnights as nights are darker. 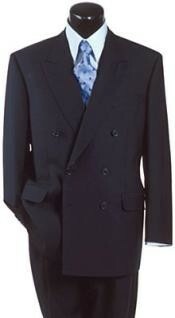 A dark blue suit might sound much similar to the name midnight blue suit. But the color midnight blue has a bit of difference to add to the color shade. 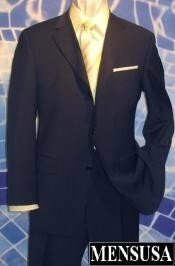 A midnight blue suit is very much different when observed closely when compared to the dark blue men's suit or the dark navy blue suit. When you choose a color such as midnight blue for a men's suit, you have a number of options to make with a dark blue suit combinations. 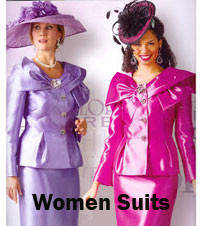 The color of the suit is dark in shade and hence you can choose to wear for evening events like dinner date, dinner gathering parties, prom nights, thanksgiving events, homecoming events, formal business meetings and black tie events too. 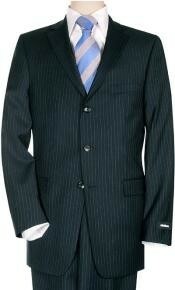 You can choose to wear classic light shaded dress shirts with the midnight blue suit. 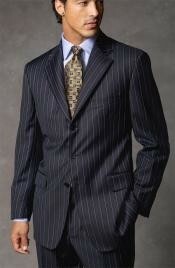 As the color midnight blue is dark in shade, you can wear all light color as combination options with the suit. 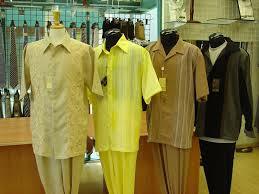 Many men feel that contrasting colored options can go well for pairing up accessories with men's suits. 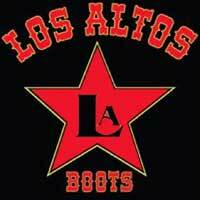 Say for example, a dark blue suit brown shoe is a combination that has been followed by many men. When dressing in different and contrasting color combinations, one should always note that the accessories should be color co-ordinate and matched well. 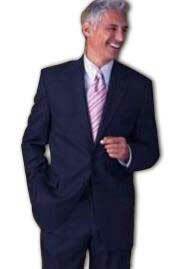 If a man is getting dressed in a dark blue suit brown shoes combination, then he must ensure that the wallet, the belt, the neck tie should match the color of the dress shoe. This way the complete overall look will come out really well. 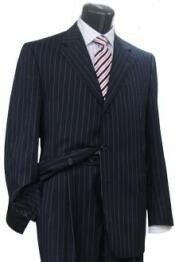 The craze for midnight blue suits for men is increasing in the fashion industry. 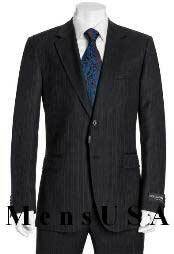 Hence a number of styles in terms of pattern and fit are designed in midnight blue suits for men. 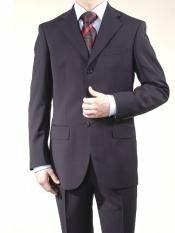 You will find single breasted midnight blue suits, double breasted midnight blue suits, slim fit suits, regular fit suits, classic fit suits, modern fit suits and so on the midnight blue suits collection for men. 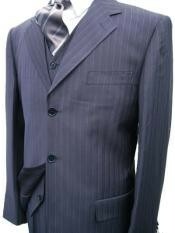 You can also choose from single button suits 3 button suits, 4 and 5 button suits as well. 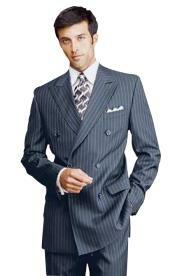 All midnight blue men's suits come in two piece suit style as well as three piece vested men's suits. When it comes to pattern, midnight blue suits for men come in pinstriped style, paisley style, sequin style, solid plain style and so on. 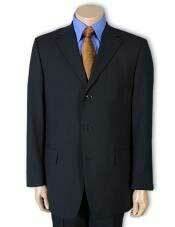 With these many options, you can never go without clicking the buy button for a classic midnight blue men's suit. 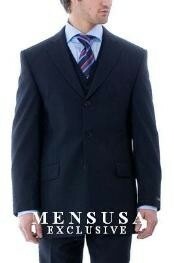 Log on to www.mensusa.com and buy your midnight blue suit now.